Tripwire, the developers of Killing Floor 2 and Road Redemption, have announced special crossover content for both games. When Road Redemption launches for Nintendo Switch later this year, players will gain access to two new playable characters from Killing FLoor 2 – Hans Volter and DJ Skully. Check out the full details below. Road Redemption players on Steam can look forward to an exciting crossover with Killing Floor 2. Following the October 2 launch of the Killing Floor 2 –Halloween Horrors: Monster Masquerade update on Steam, players who own both games will receive access to two new playable characters in Road Redemption from Killing Floor 2: Hans Volter and DJ Skully. Killing Floor 2 players will gain access to the “Road Redeemer”, a chained bat and favored melee weapon of road warriors in Road Redemption. The Road Redeemer is a Tier 2 melee weapon that can be found under the Berserker Perk. 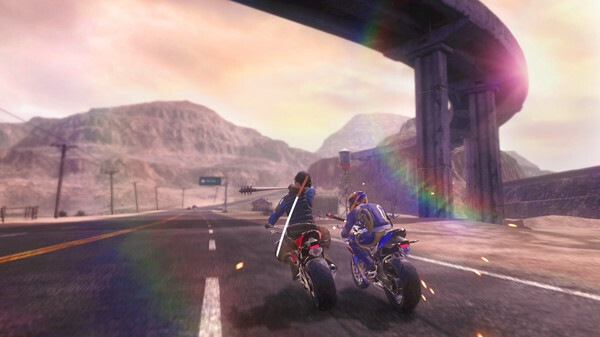 Console players can also take advantage of the upcoming Road Redemption/Killing Floor 2 crossover later this year when Road Redemption, the critically acclaimed action racer inspired by the Road Rash series, launches for Nintendo Switch, PlayStation 4, and Xbox One.